Once part of a vast European empire, Austria today still mirrors the richness of its past glories. 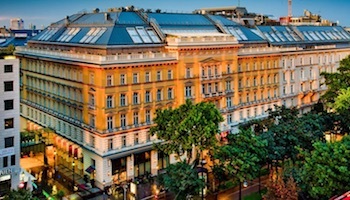 Vienna has long shined as a beacon of classical music, architecture, art… and pastries. 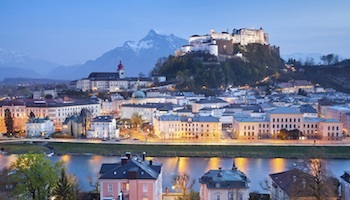 Salzburg was the birthplace of Mozart and is home to a whole lot of beautiful buildings. And even though it’s a big part of what makes Austria genuinely great, this landlocked country is much more than history and pretty architecture. Located in Hohe Tauern National Park, the spa town of Bad Gastein is well known for its Belle Époque buildings surrounded by mountains and fog-free air. At 1,000 meters (3,000 feet) above sea level, visitors flock to Bad Gastein to breathe the pure mountain air, soak in its hot springs and partake of spa treatments. Bad Gastein also is popular with outdoorsmen, who like to ski in the winter and hike or bike mountain trails in the summer. Carinthia’s biggest lake, Worthersee is one of Austria’s most famous summer destination. It appeals not only to those who want to canoe across the lake, but also spelunkers who will want to check out several caves, including Griffen Stalactite Cave, which is considered Austria’s most colorful cave. 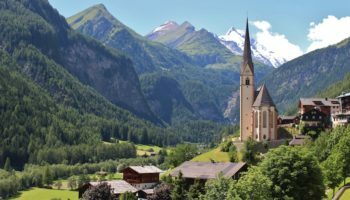 Those who enjoy visiting cathedrals won’t want to miss the Cathedral of Gurk, which dates back to the 12th century, while vintage car enthusiasts may enjoy a visit to Gmund, birthplace of the Porsche, or to the large Villach Automotive Museum with its collection of cars, motorcycles and more. 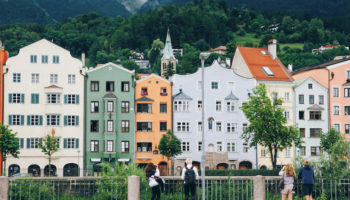 Students will find a Mecca in Austria’s second largest city, Graz, which is known as a city of students, with its six universities enrolling more than 44,000 students. It also has one of the best preserved old towns in central Europe, which reflects the culture of the Balkan States and Italy. The city is filled with numerous museums, ranging from art to armory. Living up to its reputation as a City of Culinary Delights, Graz offers a wide variety of international cuisines. Cooks may want to bring home a bottle of pumpkin seed oil, a local product, after touring a summer farmer’s market. St Anton am Arlberg is widely regarded as the leading ski resort destination in Austria.. 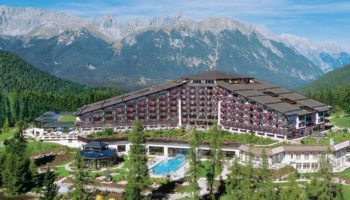 Located in Tyrol, this village offers serious, legendary ski terrain that caters for a mixed level of abilities. Often attracting adventurous youths, St Anton is notorious for living up to the saying “work hard, play hard”. The vast landscape welcomes its loyal winter crowd, as well as its summer mountaineers, who come to trek the landscape each year. With the Danube River running through it, the Wachau Valley is a popular tourist destination in southern Austria. The town of Dunstein is well known as the place where Duke Leopold V held the British king, Richard the Lion-Hearted, prisoner for several years in the late 12th century while the town of Melk is renowned for its beautiful Benedictine abbey. Wachau is also known for its wines, as well as fruits such as apricots. The valley has more than 500 historic monuments, so tourists are going to have to make some tough choices. Zell am See, located in the state of Salzburg, is another well known tourist destination, famous for its mountains and lakes. Once governed by French troops back in the early 19th century, Zell am See has hosted several international skiing competitions. Off the ski slopes, one of its most famous attractions is the Romanesque St. Hippolyte’s Church, with an elevated walkway that dates back to the early 16th century. Zell am See is also a good starting point for the Grossglockner Alpine Road, a panoramic road famous for its high alpine scenery. Innsbruck, with a name that translates as “bridge over the inn,” is an all-season tourist destination. It is internationally known for its winter sports, having hosted the Winter Olympics in 1964 and 1976. But this Tyrolean city offers more than just great skiing. 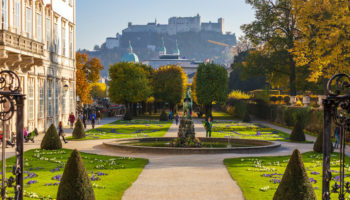 It offers a good mix of cathedrals, such as Hofkirche, which houses the tomb of Emperor Maximilian I; the Schloss Ambras, which has a collection of paintings and armor; and the Bell Museum, a nod to 400 years of bell-making. 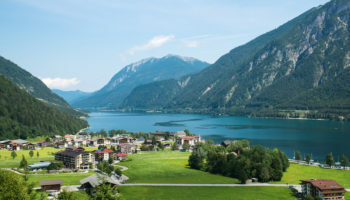 Salzkammergut is a beautiful resort area that starts with Salzburg and heads east into a land of lakes. Sparkling clean lakes, green hills, wonderful mountains, romantic towns like St.Wolfgang and Hallstatt make up this region. 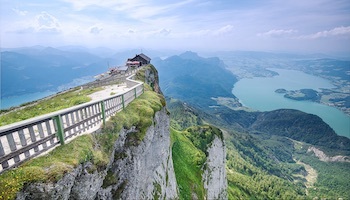 Travelers who have seen the movie The Sound Of Music will know what this lake region looks like, because that movie was filmed in and around the city of Salzburg and the neighboring Salzkammergut region. The resort area is popular with sunbathers as well as visitors who seek relaxing spa treatments. 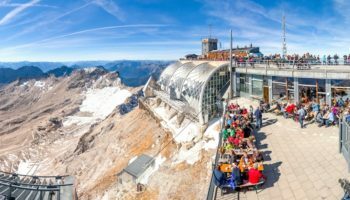 Visitors can join in the relaxed moods by donning the ever-popular resort wear, lederhosen for men and dirndl outfits for women. Elegant waltzes and Johann Strauss immediately come to mind when one thinks of Vienna, the capital of Austria and its largest city; the city still holds more than 200 balls each year. But the city also is known for other classical composers such as Mozart, Brahms, Beethoven and Schubert. Travelers can take a break from music by visiting the Hofburg, which houses the Hapsburg rulers’ imperial jewelry, and the Kunsthistorisches, a museum that has an outstanding collection of paintings by old masters. Vienna is also famous for its cafes where travelers can rest their weary feet while deciding which museum or park to visit next. Which destination do you consider the best place to visit in Austria? I totally agree with your list. Austria is so beautiful country and so aristocratic. I love its atmosphere and I love talking with the locals. They are so friendly and always ready to help. My favorite place is Vienna of course. If I could, I would live there. I am just waiting to fulfill my wish since I watched the movies Heidi and Sound of Music as a little girl and wanted to see Austria…. hope to be there soon. Hallstatt has to be one of the most beautiful towns I’ve ever visited.